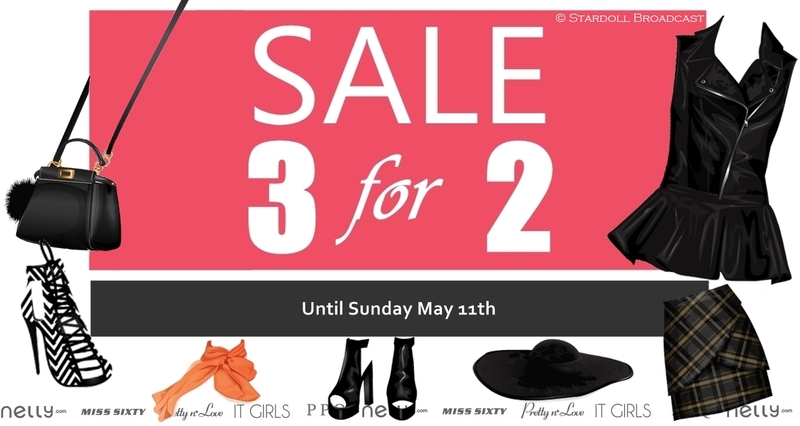 Stardoll is having a 3 for 2 sale in selected shops only, including some of the "expensive" real brands like PPQ and Nelly. It's not a 50% sale but you can still save some dollars.. I gathered my favourite stuff from these stores (Miss Sixty, Nelly, PPQ, It Girls, Pretty n' Love) in this post. All of the items you see in the picture below costed me 194 stardollars and I saved a total of 50 stardollars, which means I would have paid 244 stardollars normally.. I was surprised to find some stuff from the latest releases that I haven't noticed before like the lace up shoes from Nelly and the bag from It Girls which I'm wearing below.